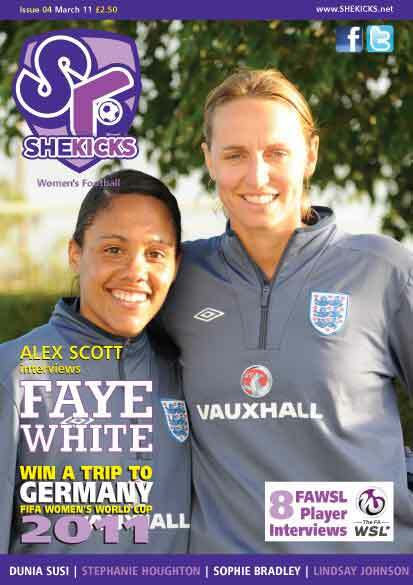 This issue includes an interview by England’s Alex Scott, with her national team captain Faye White. There are also interviews with players from each of the 8 teams kicking off the new FA WSL league, plus a fixtures poster listing the games in the first half of the FA WSL season; some info about some of the host German cities and a competition to win a trip to Wolfsburg to see a game at the Women’s World Cup. There’s the usual news and fun bits and an ace poster of Rachel Yankey scoring a crucial goal for Arsenal in the UEFA WCL. 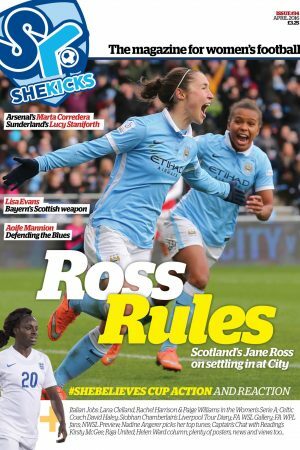 Issue 4 is an A4, full colour, 40 page package of women’s football prettiness. Buy it now or call 01914421001 to discuss purchasing more than 5 copies. For a limited time it’s only £1 plus postage. (UK Residents only) Limited stock available.